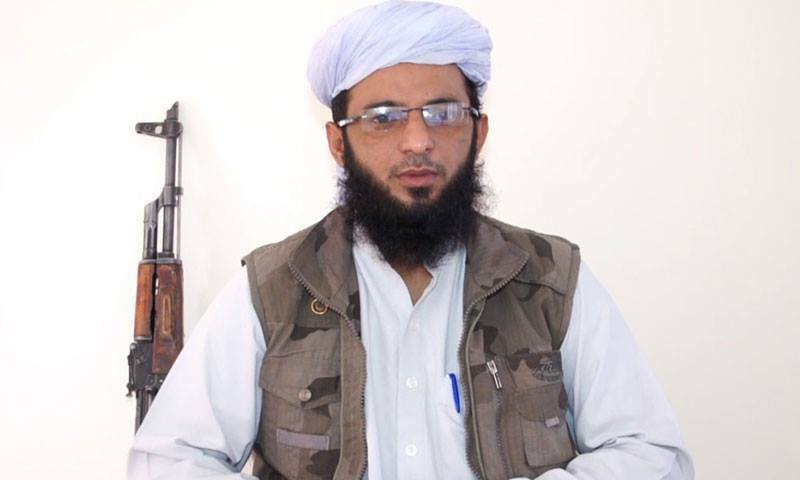 Hizbul Mujahideen has expelled jihadi leader Abdul Qayoom Najar over disagreements. “The report submitted by the inquiry commission has proved that Qayoom Najar, in an utter disregard of the Hizb leadership, violated the constitution of the outfit and carried out condemnable acts. Our constitution does not allow or permit such actions,” Salahuddin said in a statement. Analysts say the emergence of a breakaway faction could mean that a new generation of Kashmiri militants is trying to force aside the ageing separatist leadership. The condemnable acts were unauthorised attacks against telecommunications companies that Najar’s group Lashkar-e-Islam believes are helping Indian authorities monitor militant activities. The split is worth noting, but not surprising. Actually, it could be inevitable, and just the first of many to come. Despite presence of multiple groups including Kashmiri freedom fighters and foreign jihadis, Kashmir jihad has so far been fairly unified. This can be understood largely from the hyper-regional nature of the conflict in which there is only one primary enemy, India, and not a broader global clash as is present in other areas such as Afghanistan and Syria. 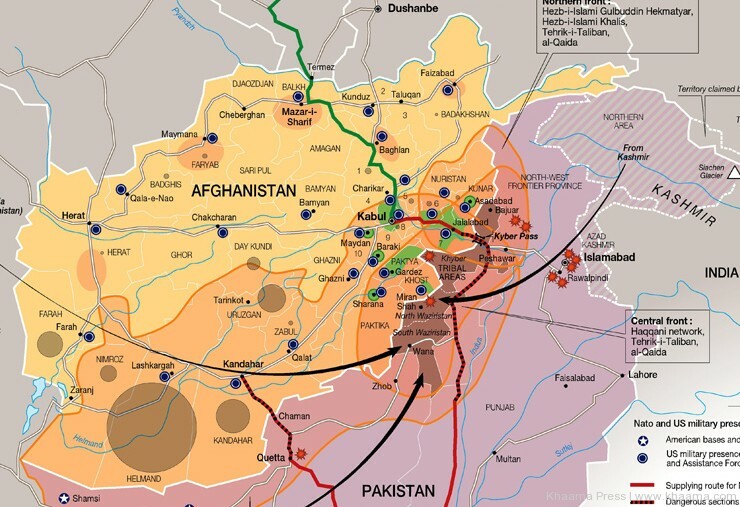 However, even in Afghanistan, jihadi groups were unified for years before real splits began to appear as a result of new, younger jihadis taking issue with the strategies and ideological purity of their predecessors. Is there any reason why the same scenario should not unfold in Kashmir? Actually, Kashmir may even be also ripe for trouble. 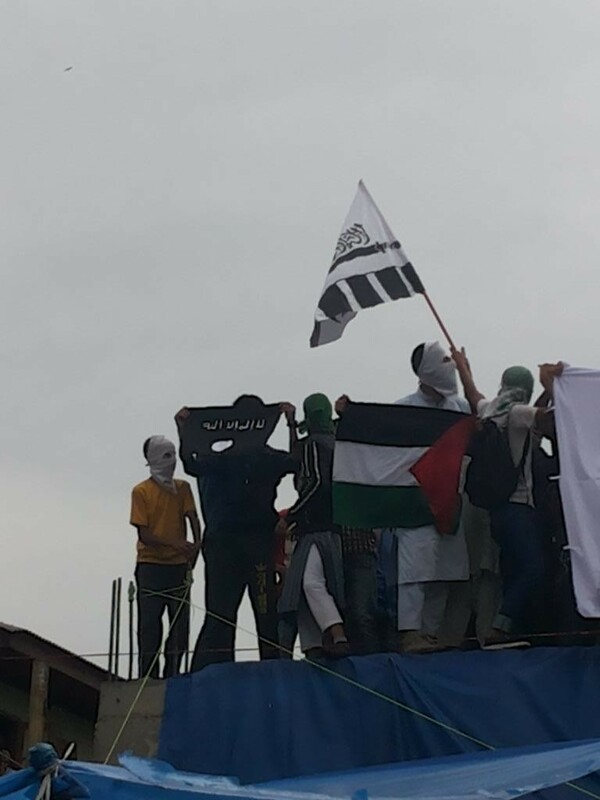 At recent protests at Jamia Masjid Srinigar, black flag of Daesh began appearing alongside Jamaat-ud-Dawa flags. This is an important development. JuD has long been establishment’s preferred proxy due to its reliance for funding and resources, but there have always been problems controlling other groups that had alternate resources available. A similar problem has already erupted in Afghanistan where Mullah Omar’s Taliban is facing existential challenge from Daesh who sees it as compromised and not true to its vision of Islamic rule. We have already seen a key proxy in Afghanistan turn to Daesh, is there any reason to believe that assets in Kashmir are immune from the same? This is why using jihadi proxy groups as strategic assets is a self-defeating plan. We may think we have control over them, but that control is an illusion as has been proven time and time again. Jihadis have been able to keep pressure on India in Kashmir, and we have convinced ourselves that they are going to help Kashmir become part of Pakistan. It is not clear that the jihadis are convinced of that, though. As any influence with thought we had over jihadis in Afghanistan slips through our fingers, we are seeing that same influence slipping in Kashmir. The outcome that must be feared is that we become encircled not by India, but by jihadi militants who see Pakistan as the ultimate jewel in their imagined Khalifat. And it will be a threat of our own making. Two very troubling facts have come out of the recent terrorist attack against Karachi Naval Dockyard. The first, obviously, is that our own military officers helped carry out the attack. As has been noted, this is unfortunately not new, rather it is merely the latest in a string of incidents in which terrorists have had inside help from our own security forces. “The suspects were trying to escape to Afghanistan, when they were intercepted by security forces”. Since long, our military has invested in an Afghan strategy that helped build up the strength of the Taliban. This may have been seen as a policy of ‘strategic depth’, or it may have been seen as aiding a legitimate insurgency against a foreign occupier, or it may have been justified as both. The end result, however, is that whether or not Pakistan has ‘strategic depth’ in Afghanistan, extremist militants do. News that a faction of Punjabi Taliban have declared a halt to armed struggle in Pakistan has been received as if it were a sign that anti-militant operations have been a success, but militants in Punjab were never targeted in these operations. Actually, it should be noted that Punjabi Taliban even said they are halting operations against Pakistan to focus on Afghanistan. In other words, they are not done fighting, they are simply making a strategic change. We get a reprieve, but it will most likely be temporary. One newspaper declared on Sunday that ‘Zarb-e-azb will in all probability fail’ because we have failed to eliminate the root cause of extremism. 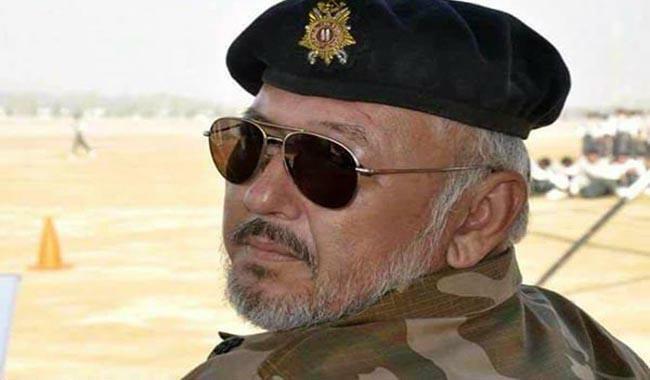 The continued involvement of military personnel in terrorist attacks against our own security forces is a grave warning that the Punjabi Taliban and other militants are shifting away from attacks against Pakistan not because they believe the are losing, but because they believe they have already won. The results of our involvement in foreign entanglements is well known. The 50,000 Pakistanis whose lives are no more. The cries of mothers. The blood that will forever stain the streets no matter how much we try to wash it away. The toll that has been levied against us has brought us to the current situation in which the government has decided to continue trying to negotiate a peaceful resolution with anti-Pakistan militants despite the fact that the very same militants have said they are not interested in peace. It is easy to point fingers at Musharraf for agreeing to cooperate with the US in their ‘War on Terrorism’, but we can’t stop there.